The Center for Women's Health & Wellness (Lawrenceville) - Book Appointment Online! It is our desire to provide the finest and most up-to-date medical care available at The Center for Women's Health & Wellness. 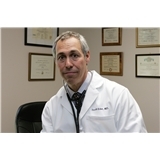 Dr. Scott Eder has provided high quality, personalized medical care trusted by thousands of women in Central NJ since 1988.